One day in February, I got an odd call from one of my NC friends with a science fair idea. It just popped into her head that morning so she called out of the blue, not knowing if the "Pickles" would have to do a project this year or not. We're always on the lookout for an interesting Science Fair Project and coming up with one is probably the hardest part of the entire process. 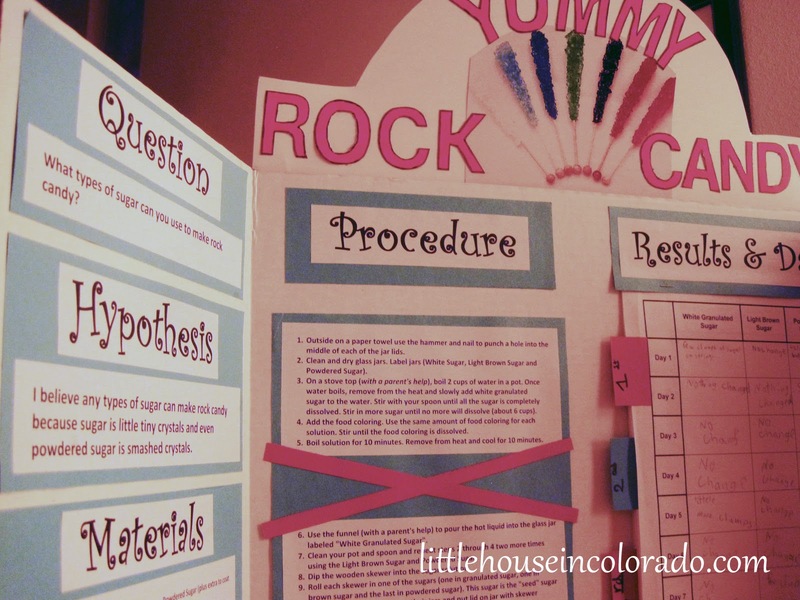 The project suggestion was Rock Candy. It sounded fun, but we needed to have an experiment (not a demonstration) and I wasn't sure yet how we would experiment on rock candy. 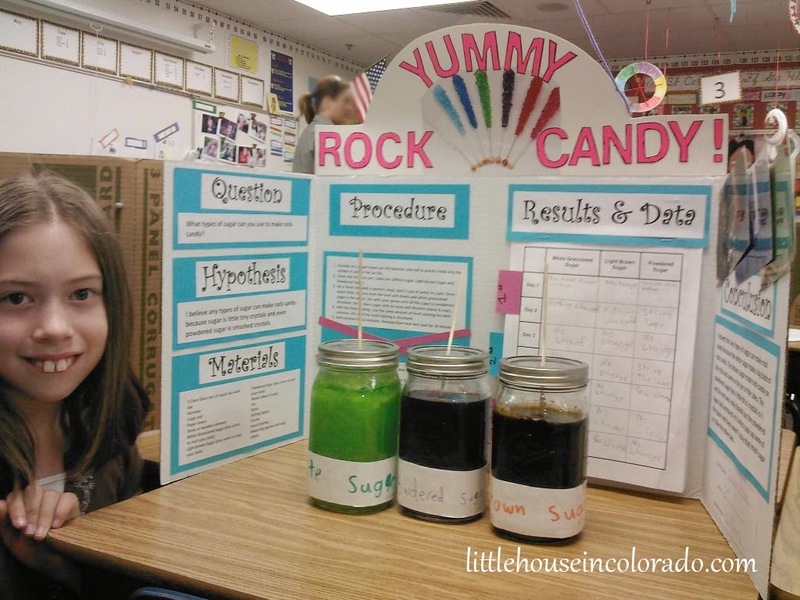 As soon as we got official word that The Girl would need to complete a Science Fair Project this year, I mentioned the rock candy project to her. She loved the idea (she wanted to color the candy, of course) so I set out to find possible experiments. The one we wound up choosing actually started out as a question we had from the very beginning. "Can we use something other than granulated sugar to make rock candy?" Before you spend all your time reading through this post, let me inform you that the experiment bombed. If you have had success with rock candy, you might have better luck. HOWEVER, there are plenty of ideas for variations and ideas for decorating your project board! After a search online, we decided to modify an experiment I found on Science Buddies. The objective of the Science Buddies experiment is to see if the presence of seed crystals (sugar placed on the string before leaving it in the sugar water solution) speeds up the formation of the rock candy crystals. Tia wanted instead to see what the results of using different types of sugars would be. That would be two different projects so we chose to experiment with granulated sugar, light brown sugar, and powdered sugar and we planned to go ahead and "seed" all of the various strings in the process. 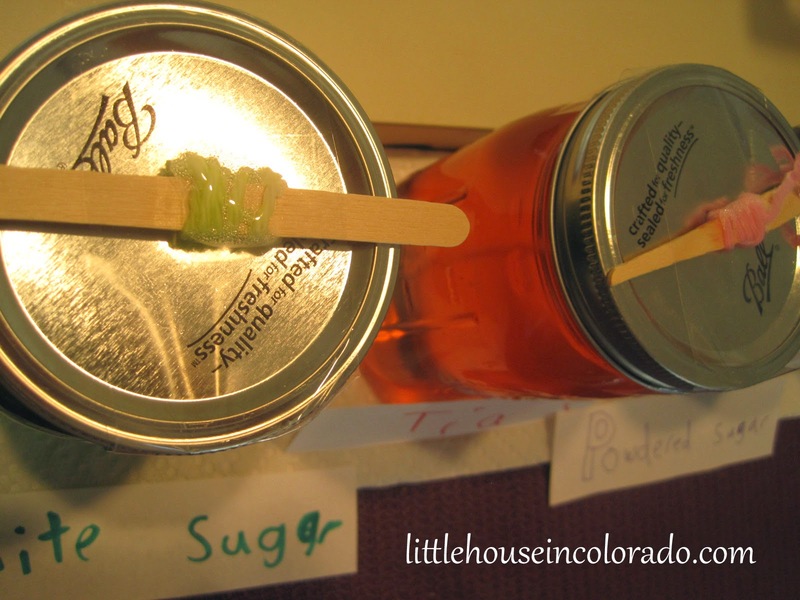 I also wondered what would happen if we experimented with honey, fructose, molasses, maple syrup and raw sugar but didn't want to have too many things going at once since this was The Girl's first science project. As it turns out, that was a good plan. Keep it simple. While the project process was being planned and the list of materials created, I was also thinking of the display board. The Girl loves arts and crafts and insists on bright girly colors so that would work well for this project display. She helped with her brother's previous science fair projects so she should really only need minimal help from me this time. 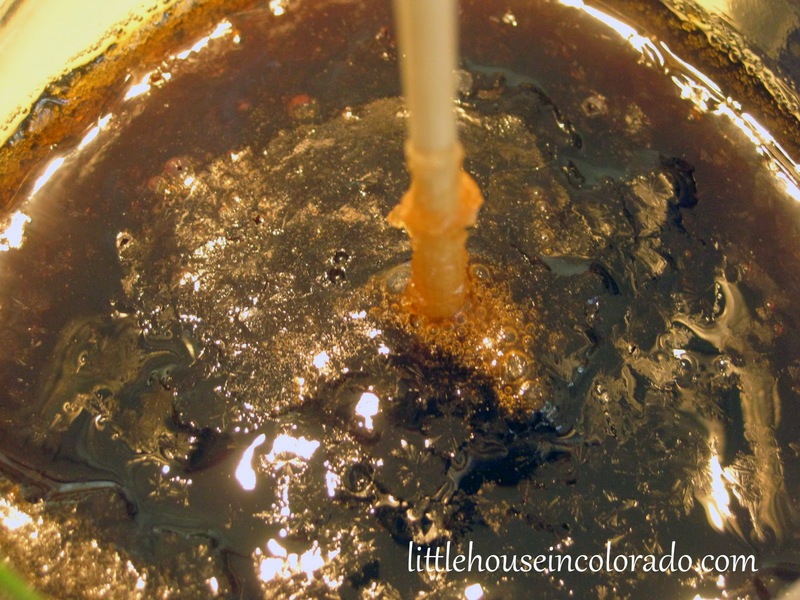 What types of sugar can you use to make rock candy? I asked The Girl the "Question" and let her form her own hypothesis. This is actually an easy part for a control freak like me since there is no right or wrong hypothesis. 3 Clear Glass Jars of equal size with lids. 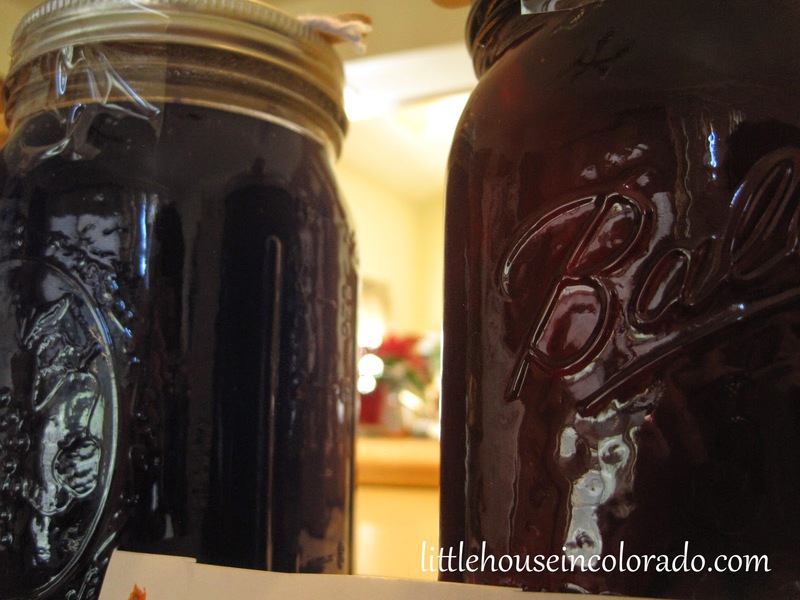 We used quart sized canning jars and lids. Measuring spoons (if using food coloring). I need to mention that these are NOT the steps we followed when doing this project (see below for more info). These are rather the steps we SHOULD have followed after more research on the entire process. Outside on a paper towel use the hammer and nail to punch a hole into the middle of each of the jar lids. Clean glass jars and dry completely. Label jars (White Granulated Sugar, Light Brown Sugar and Powdered Sugar). You can do this with a label maker, or simply write the names on pieces of masking tape and stick to the sides of the jars. On a stove top (with a parent's help), boil 2 cups of water in the pot. Once a rolling boil is reached, remove from the heat and gradually add 4-5 cups of white granulated sugar to the water (a little at a time). Stir with your spoon until all the sugar is completely dissolved. Boil for about 10 to 15 minutes. Remove from heat and let stand for 10 to 15 minutes. Use the funnel (with a parent's help) to pour the hot liquid into the glass jar labeled "White Granulated Sugar". Clean your pot and spoon and repeat steps 2 through 4 two more times using the Light Brown Sugar and Powdered Sugar. Dip each skewer in the sugar syrup then roll in sugar (the same sugar used for each jar). This sugar is the "seed" sugar which will provide a surface for the dissolved sugar to form crystals. Allow the skewers to dry. Once the sugar water has cooled, lower the skewers into their jars and thread the skewer tops through the hole in the jar lids. Use a clothespin to hold the skewers and keep them from touching the bottom of the jars. Check the jars every day and record your observations. We originally started this project using string and popsicle sticks. We later switched to wooden skewers. We had plenty of time to complete a science fair project this year, but I knew The Girl would procrastinate if I let her. Once we got back from our trip to the mountains, I mentioned beginning the project. She was actually quite excited about it (thank goodness). We set up all the jars and made the sugar solutions on Easter Sunday. 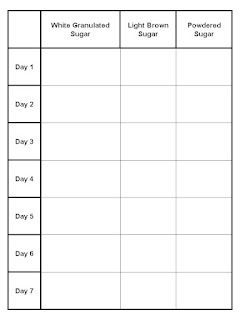 I created a simple grid for her to fill out each day with her observations. The following day, Easter Monday, would be our "Day 1" for her observation sheet. 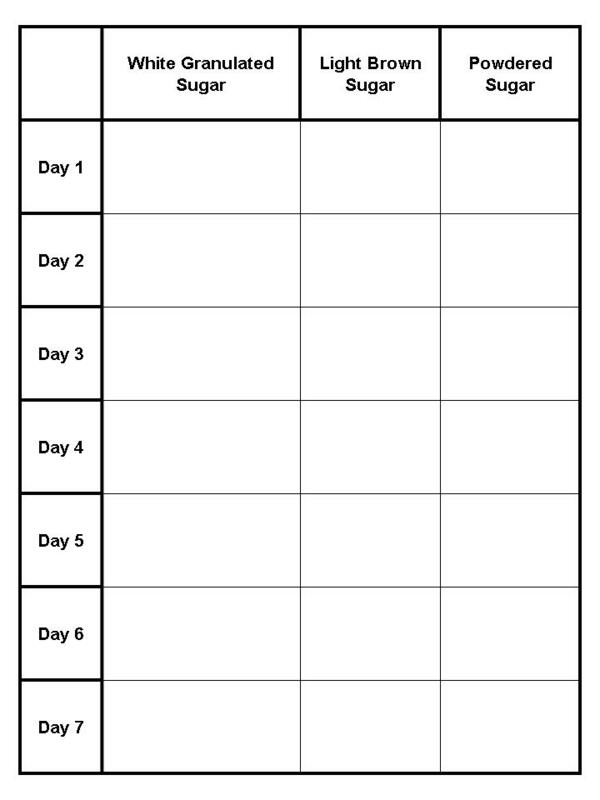 We had observation sheets for 21 days of observations (I had no idea how long this would take). The white granulated sugar made the clearest solution. 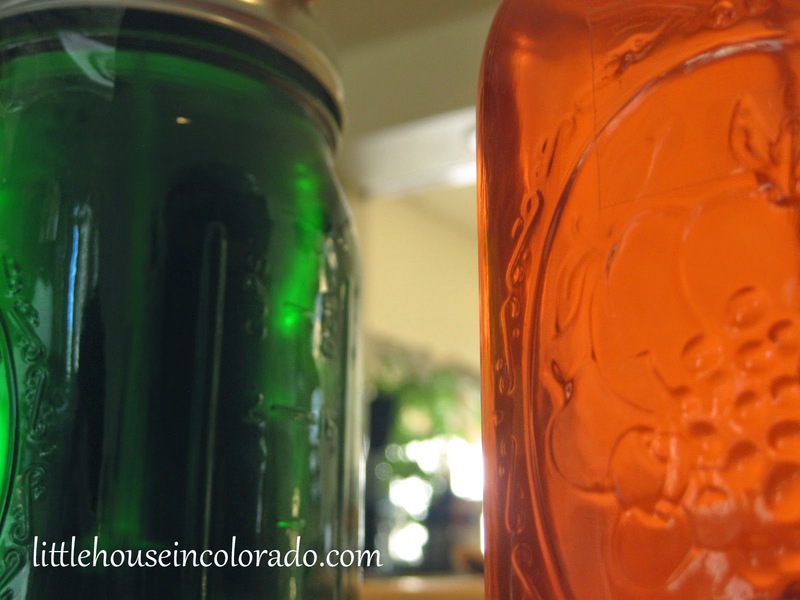 they are the green and pink (orange looking) jars. The powdered sugar made a solution (once mixed with purple food coloring) that we couldn't see through at all and the brown sugar (though you can't tell we colored it orange) was also very dark and hard to see through. After about a week, with absolutely NOTHING happening (except the cornstarch separating from the powdered sugar), we poured the jar contents into pots and added more sugar (we had started with 2 cups of sugar to 4 cups of water the first time and added an additional 2 cups this time). Then we waited. Nothing. Another week went by and NOTHING! We were running out of time to complete the experiment. One last time, we added more sugar (another 2 cups) and started the observations over again (I was sick of the project by this time).We boiled the solutions for awhile (about 10 minutes) and cooled them for about 10 minutes before pouring them back into the jars. Finally, by day 2, the brown sugar solution was crystallizing - though it was on top of the liquid. By day three, the white sugar solution had formed an almost solid sugar mass inside the jar! I guess the solution was super-saturated. The brown sugar solution had formed sugar crystals on top and along the sides of the jar and the powdered sugar solution had a crusty top. It wasn't quite what we had expected, though it did kind of prove her hypothesis correct. Even after her experiment formed a "blob of sugar in the jar". I suggested we try it again with the correct measurements and no food coloring to see if we could get it to come out "right". She flatly refused. She like her green "blob". However, we agreed to try it again after the Science Fair was over. 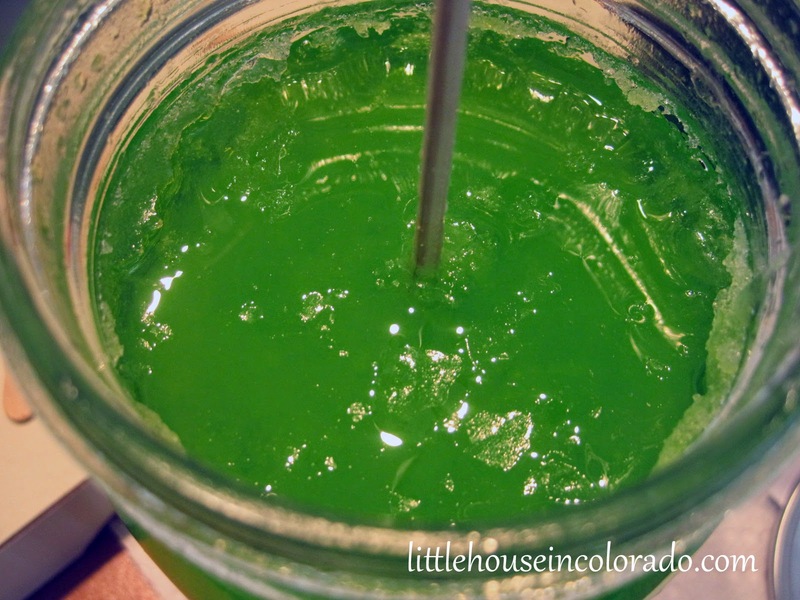 We did want to succeed in making rock candy to enjoy at home. With some sort of conclusive data to work with, The Girl was impatient about getting her display board completed. We purchased a board from the school a month earlier and had finally gotten it. I guess 3rd graders use smaller science fair boards because this thing was half the height of the 4th and 5th graders boards. I insisted she make it look neat and tidy so we typed out all the information on the computer (I say "we" because she dictated to me and I typed) and then chose colors from her paper stash to use as background paper and cut everything out. She was very specific about her choices of colors, fonts and sizes. Though she didn't want to use much color variation, which I though was odd (for her). I knew from the beginning that she would need minimal help from me and was going to have to do most of the work on the project. She surprised me by INSISTING she do it all. I only needed to help with the boiling of the solutions and reminding her to make her observations (and of course playing secretary by typing out everything)...and using the paper cutter. The Girl was a bit too...uh... enthusiastic...with the paper cutter for my comfort. We were both very pleased with the results. It doesn't look as in-depth as The Boy's previous science fair projects, but for her first one, I think she did very well. The competition at the school was pretty fierce. There were some REALLY great project ideas...and I mean really. great. ideas. I think my favorite project tested the effects of common kids' drinks on (baby) teeth. Sprite actually shrunk the tooth after 2 weeks. The white cranberry juice cocktail and the Gatorade discolored the teeth to a burgundy color (yuck!). 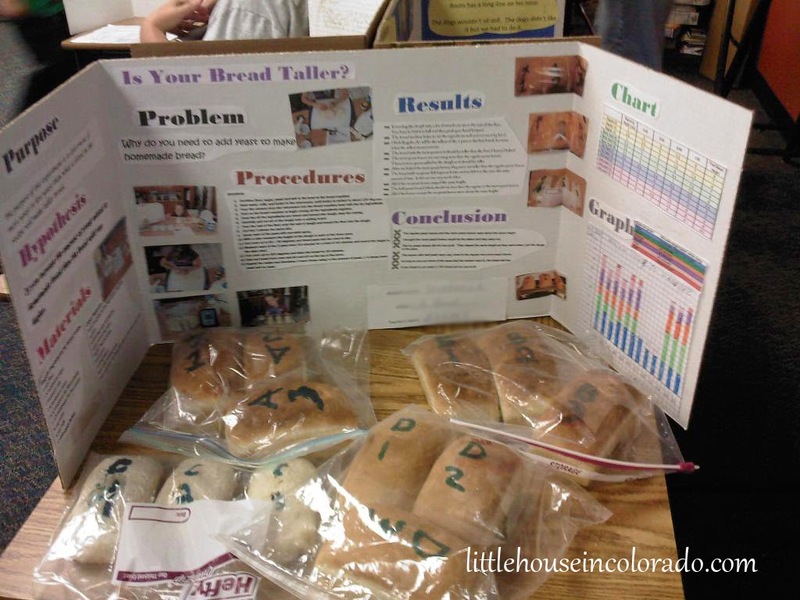 I also saw a project I really liked that tested the effects of yeast amounts in a basic bread recipe. Funny thing is, the bread using LESS yeast was the best looking bread (we didn't taste them). Keep in mind, this is Colorado. It's the altitude. When we moved here, I had to cut back on my yeast when figuring out how to make my usual bread machine bread (it only took me 4 tries to get it right). Anyway, as mentioned before, The Girl and I want to make a successful batch of rock candy, so later on we're going to try this recipe I found on Instructables. How did you figure out if the brown sugar and the powder sugar was growing Rock candy since you cant see through it. Did you pull it out of the mixture? Yes, we just lifted it out of the solution to see if there was any formation on the string. What was your variable and dependent variable? What was your vvariables both dependent and independent? I did a science fair project very similar to that one and I used 1/2 cup water to 1 cup sugar and got crystallization after about a week (I had to stop after nine days due to spring break.